VisiStat has a great alert feature. 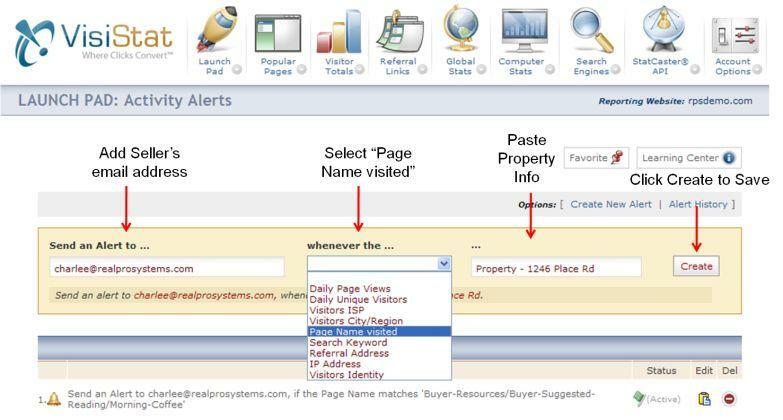 You can automatically send an email alert to your seller every time their listing is looked at on your website. This shows your seller they are getting exposure from your website and you don't have to constantly be running "property views" reports. Locate the property, highlight the wording and copy it. 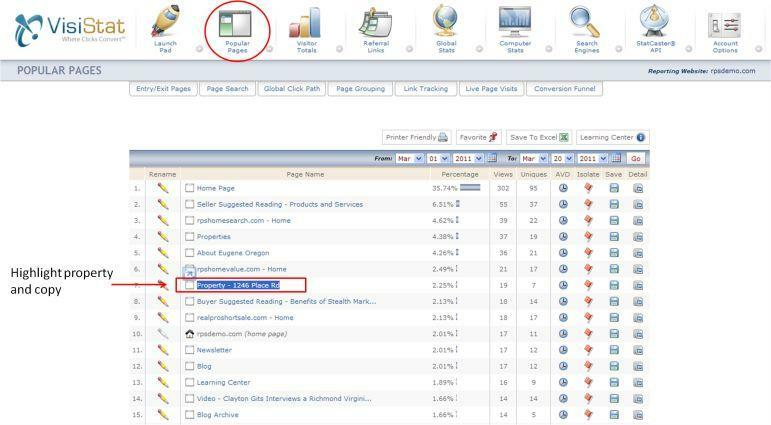 If your listing is not shown in the Popular pages, click on the tab labeled 'Page Search' and search for the listing you want to set up. Add Information as shown below.